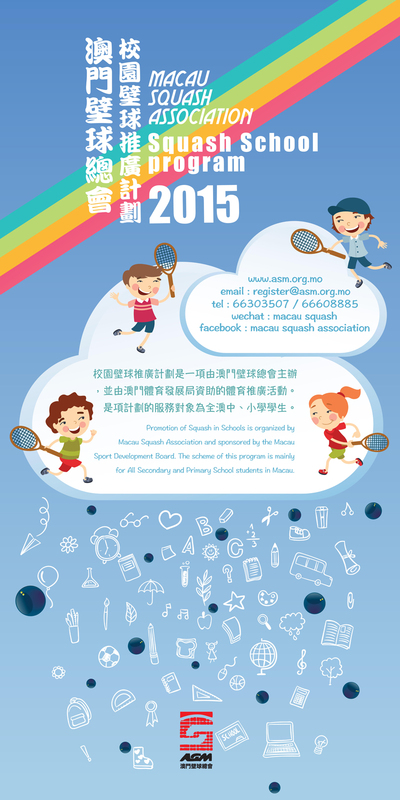 Promotion of Squash in Schools is organized by Macau Squash Association and sponsored by the Macau Sport Development Board. The scheme of this program is mainly for All Secondary and Primary School students in Macau. To enhance the popularity of squash in Macau and to find the hidden talents among the school youth who age from seven to thirteen years old. And though various of training to choose from young athletes with potential, become one of the member of Macau’s squash team.